Floss-Pick pack of 10. Better and Easier than Flossing! 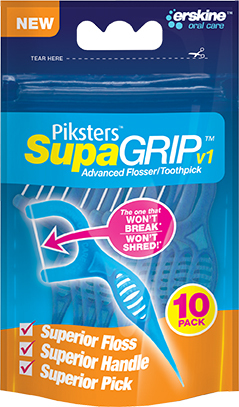 New from the Piksters people Supagrip Floss-pick. Floss and Tooth Pick in one. Amazing Breakthrough in Flossing! 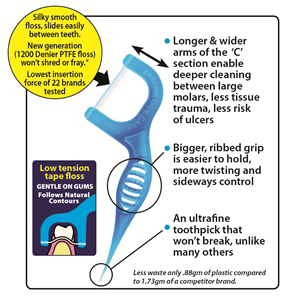 BETTER FLOSS, BETTER HANDLE, BETTER TOOTHPICK - Does not shred or fray between teeth or leave annoying fibrous residues - Super strong floss, much more durable than nylon™ - Ideal for people who don’t like to floss - Slides easily between teeth (the lowest insertion force of 22 brands tested) Packaged as a 10pack Made by the same Australian company that brought us our favourite interdental cleaning brushes, the Piksters Floss-Picks are the easiest way to floss and clean between your teeth, also known as interdental cleaning. One small piece of PFTE floss can clean the whole mouth without shredding or breaking, because of the new SUPER strong, PTFE (like TeflonTM) material, which is much stronger than ordinary Nylon floss. 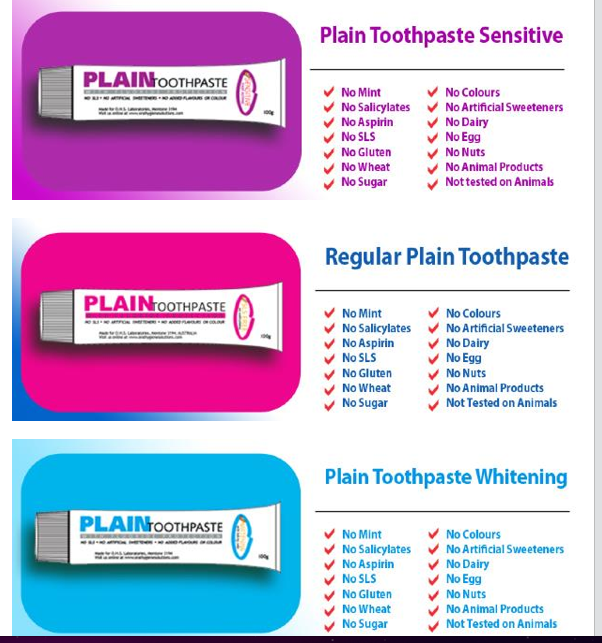 Excellent for tight or rough contacts and delicate gums. Won’t shred or fray between teeth. It is Floss and Toothpick in one. Less bulky, and can easily be carried with you compared to regular floss packets or floss cards. No winding floss around fingers, and only needs one hand to floss your whole mouth. Once you use floss-picks you won't go back to plain old floss ever again!